The Duke and Duchess of Cambridge have visited The Studios at dock10 while on a visit to the BBC. His Royal Highness was in Manchester to deliver a keynote speech at the Children's Global Media Summit. 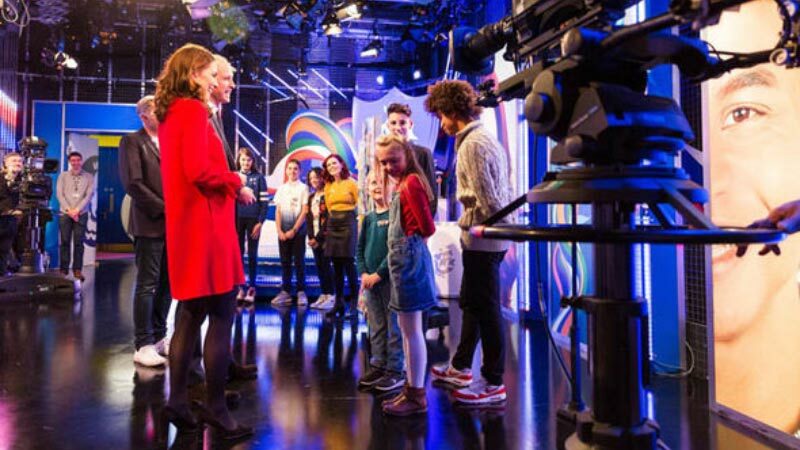 The Duke and Duchess were shown around The Studios, visiting the sets and meeting the presenters and crew of iconic CBBC children's programmes including Blue Peter. Their Royal Highnesses took part in a recording of the Blue Peter Christmas special, during which they were awarded gold Blue Peter badges for their campaign work on children's mental health issues. They join a very select group of people to be given the gold badge, which is reserved for role models and public figures who show great expertise in their field and inspire children across generations. dock10's studio and post production facilities are used every day to make a number of programmes for CBeebies and CBBC. As well as Blue Peter, these include Justin's House, Swashbuckle, The Worst Witch, and most recently CBBC's new Saturday morning live entertainment show Saturday Mash-Up.